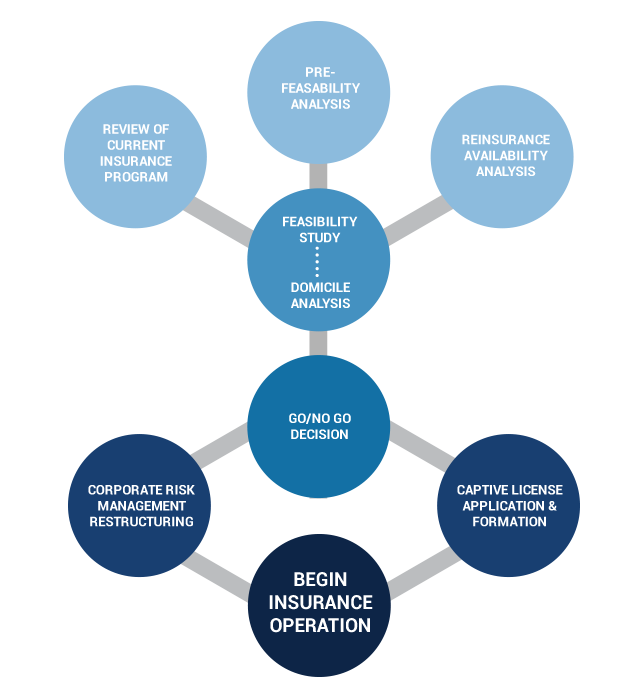 Putting together a Captive Insurance program for a business can be a complex and time consuming series of steps. Capterra Risk Solutions has developed a comprehensive, proven approach to move its customers through this process of successfully creating and operating captives. We call it the Capterra Experience. It aims to ensure both an efficient movement through the steps of creating a captive insurance company and also delivers strategic guidance, compliance, a high level of accuracy, and provides ongoing stewardship. The client-focused stewardship process not only holds us accountable to run an efficient and effective captive operation for our clients, but also provides a framework for setting and achieving annual objectives, all while maximizing the many benefits of owning your own captive. Capterra builds deep relationships and connections with each of its clients. You are assigned an Account Executive to ensure your questions and needs are being served by a single, consistent team member. Click here to view our expanding team. Call us at 412-802-2600 for a free consultation.